So when news dropped that Dior was launching a new berry shade of its cult-classic Addict Lip Glow ($33), we had a tube delivered overnight. (After all, lip balm is kind of our thing here at Byrdie, and Dior's formula is one of our favorites.) The new shade offers the same hydrating, nourishing ingredients we've loved for years—it's packed with wild mango and Luffa cylindrica, plus SPF 10. But what caught our eye is that the new Lip Glow shade seems richer than the lilac, coral, and rose hues currently available. Dior calls Berry #006 a "sheer plum" that "instantly awakens the lips, leaving behind a kissable wash of color." All things considered, this seemed like it had the potential to be the "perfect" lip balm. But how does it look and feel in real life? To find out, we put the product to the ultimate test: Editors with three different skin tones tried it out and reported back. Keep scrolling for our honest reviews (with photos)! "I love a high-impact lip color, but in the winter, my thirsty lips aren't always up for supporting a heavy matte lipstick. Pigmented lip balm sounds like a great alternative, but I haven't actually found one that delivers both pigment and hydrating, nourishing qualities. "I dig Dior's other Lip Glows for their incredibly moisturizing formula, but for me, they're a little too sheer to wear on the reg. So I was thrilled to find that this one delivered more oomph. It's truly buildable: One coat gives me a whisper of color while three or four coats produce a vibrant pink against my fair skin. 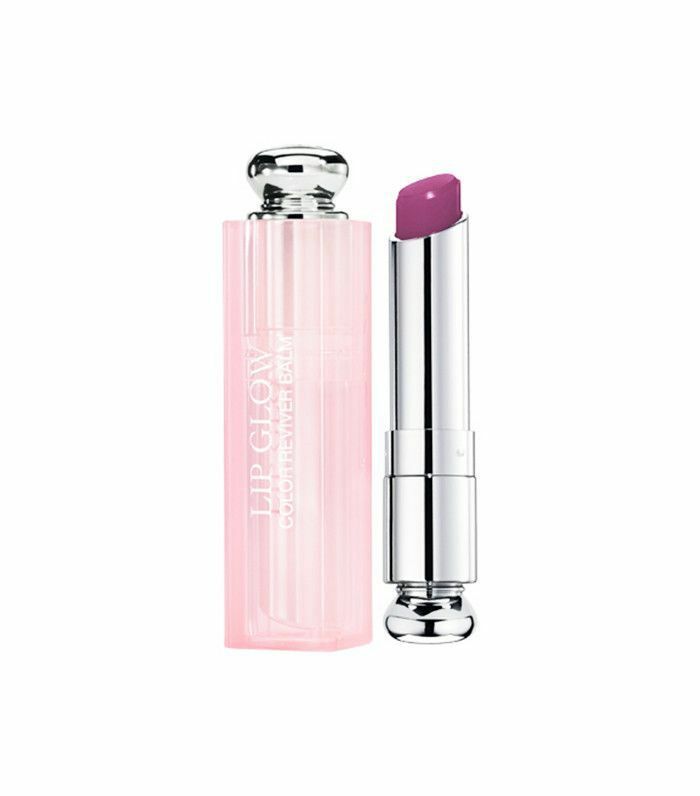 Being picky about it, I suppose I do wish the product looked more berry than pink, but regardless, I can definitely see myself reaching for this on low-maintenance makeup days when I want my lips to feel nourished." Next up, don't miss the best drugstore lip primers, according to real women.